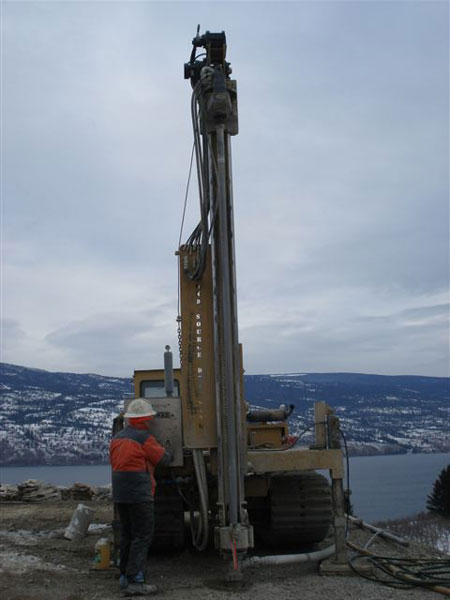 We are geothermal drilling and installation experts for residential, multi-family and commercial/institutional projects serving many different locations across Canada since 1987. Our drillers are certified by the Canadian Ground Water Association as well as by the Ministry of Environment, and our installation crews are certified by the Canadian GeoExchange Coalition. Our team is dedicated to providing quality service in a safe work environment, at highly competitive prices. Ground Source Drilling Ltd. is a family owned and operated drilling company with over 60 years combined experience. In 1986, Bob Faasse and his family formed a Dewatering/Drilling business and have been serving British Columbia ever since. In 2005, the company decided to focus on drilling and sold the Dewatering division. Over time and with the growing demand for cheaper, cleaner, renewable energy sources, Ground Source Drilling has expanded to 4 track-mounted drill rigs and also provide all installation services. Ground Source Drilling combines experience, technology and service, to deliver quality geothermal drilling and installing services.